To ensure that our customers' power wheelchairs and scooters stay in top shape, we stock a wide assortment of parts and accessories. Wheelchairs and scooters – like cars, washing machines, dishwashers, and lawn mowers among other things – are made up of many smaller individual components, all of which can fatigue over time, requiring replacement. At Dynamic Repair Solutions, we recognize this fact and stock wheelchair parts and accessories accordingly. If you have a part that needs replacement, the odds are good that we have it – and should you require assistance, our skilled service technicians can even install it! Contact us today via email or phone to inquire about a part. Make, Model, Year – Providing us with the make, model, and year of your wheelchair can help us narrow down the correct parts. As with a car, wheelchair models evolve over time; by being able to pinpoint a model and manufacture date, we can more quickly and reliably locate the part you require. Part Number – There is no simpler or more reliable way to replace a broken or faulty component than providing us with its part number. We understand that you may not have the part number available to you; however, if you do know the specific ID number of the wheelchair part you are looking to replace, please do share! Part Name or Description of Problem – In most cases, our customers do not know the part number of the item they are looking to replace. In many cases, in fact, they don't even know what the part is. If this describes your situation, don't worry; working together, our expert can help identify the component in need of replacement. Should it not be the right part, we'll help ensure that we replace it with the component that is right for the job! 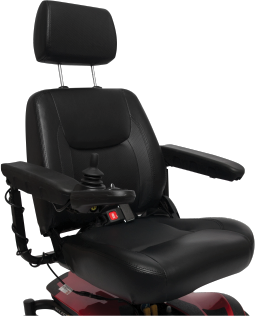 We stock wheelchair parts and accessories for a wide range of makes and models. If your wheelchair is due for service or maintenance, let us help provide you with the parts that you need to get it running again! From batteries to motors and joysticks, we either have the part you need in stock or can obtain it from its manufacturer. If you are looking to replace a part on your wheelchair, we can help. At Dynamic Repair Solutions, we accept insurance, Medicare, and Medicaid, and in many cases can meet your needs for little or no money out of pocket. Call us today at 888-258-0602 or email us to speak with one of our parts technicians. We can get you the part that you need in no time! Need Help? Dynamic Repair Solutions Can Help! What’s wrong with your Power Wheelchair? How do I get my wheelchair serviced? What if you can't fix my wheelchair at my home? What form of payments can I use? Can I use Medicare? Do you sell new wheelchairs? When you have questions, we are here to help. © 2019 Dynamic Repair Solutions. All Rights Reserved.